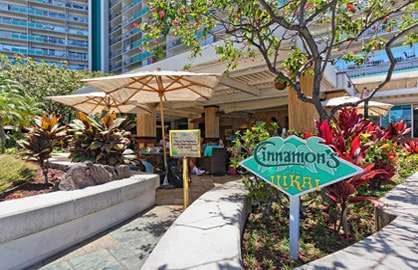 The Ilikai is a premier oceanfront hotel that stands proudly at the entrance to Waikiki, overlooking the most famous beach in the Pacific. 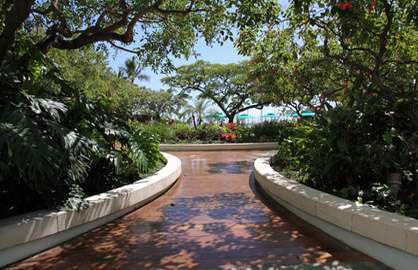 A private walkway leads directly from the hotel to the newly redesigned Duke Kahanamoku Lagoon and the most desirable strand of Waikiki Beach. 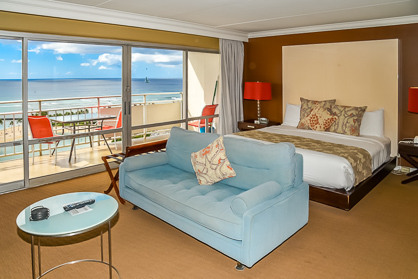 From our lovely and spacious ocean view room on the 17th floor which faces the ocean, we think you will love it here as we offer relaxing accommodation that suit your every need. 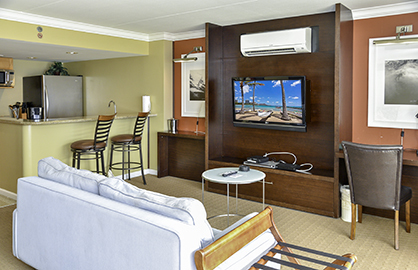 Enjoy your guest condo as warm and inviting as the Islands where welcoming tropical decor meets modern comfort. 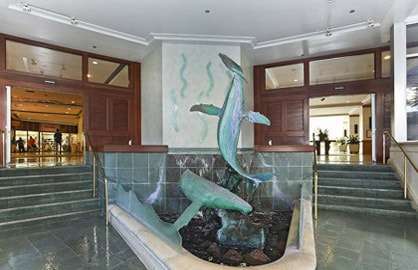 Our well appointed rooms features high-speed Internet service, full cable television, spacious floor plans, designer furniture, a granite kitchen with breakfast bar, and a lanai with exceptional ocean and pool views. 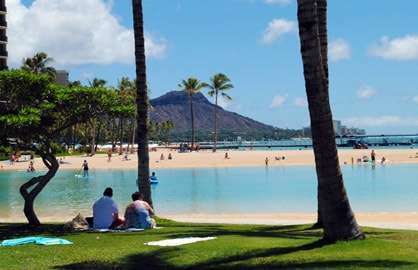 Step outside and perfect your island tan with a beachside jog around Ala Moana Park. 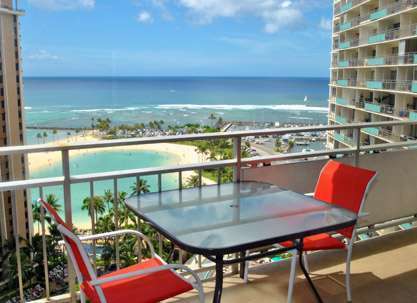 The Ilikai's convenient location allows for easy access from Waikiki to many popular area attractions. 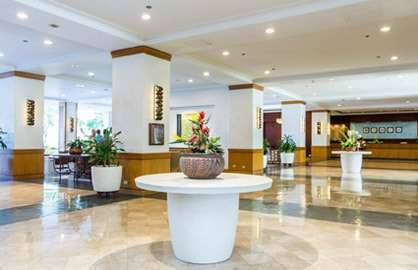 You'll find yourself within easy walking distance to Ala Moana Beach Park, Ala Moana Center, Waikiki Beach Walk, and the Hawaii Convention Center. 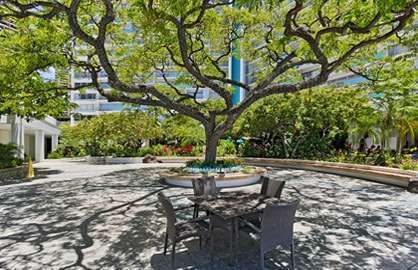 Downtown Honolulu is located only a few minutes away by car. Ilikai 1718 - What a great place to stay!! First of all, the views!! The lanai was perfect to relax, or have your morning coffee, or a glass of wine to end the perfect day, or to watch the Hilton fireworks. The room had everything that a person could need should they decide to do some cooking instead of going out for their meals. Everything that you need is nearby. Lewer and Kalakaua are a 10 to 15 minute walk. 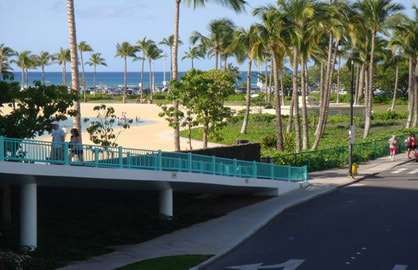 The Ala Moana mall and park are a short 5 to 10 minute walk. Foodland is approximately a 15 minute walk. There are two ABC stores two minutes away. We had to contact WBR for something and the next thing you know, someone was at our door. We have already made plans for next year and will be booking through this website without any question. This place makes for the perfect holiday!!! Ilikai 1718 - Thanks again for the fantastic stay, this place rocks, it is our second time here and I have recommended to so many of our friends They view from the lanai just blows me away, all day watching the surfies, weddings, hilton lagoon, the torch lighting display every evening, the free view of the hilton laui, fireworks from the deck on friday nights. 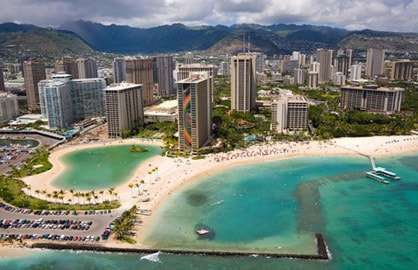 I feel it is the best location in waikiki, 10min walk from alamona mall, and 10mins in other direction to main street waikiki. They only thing I had a problem with was the bed was bit to hard for me and should have brought my own pillows. Love it and we will definetly be back for a third time. The new pool area is great addition if you are wanting to lay around and just get wet when needed. The information sheet you give is great, See you soon. 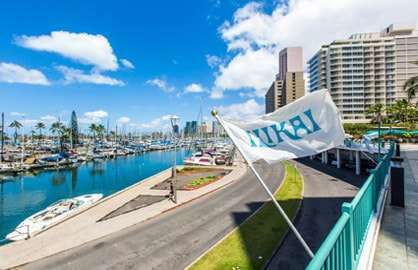 Ilikai 1718 - Great location, lovely apartment, will definitely return to the Ilikai. 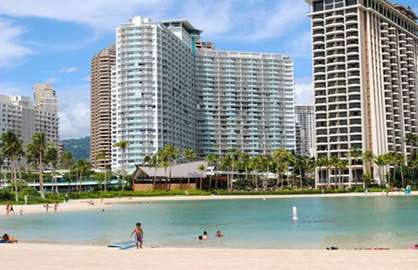 Ilikai 1718 - My husband and I stayed in this condo end of September 2016 We had one of the best times of my life here the room was perfect the view was breathtaking it was located in a perfect spot and you are close to everything I can't wait until my husband and I can go back again we will definetly stay here again thank you for the wonderful memories we made here and many more to come the harris family. Ilikai 1718 - Really enjoyed our stay. Location is great, we would stay again, loved the view. Thank you. Ilikai 1718 - Love staying at the ilikai. Room and view were great. No problems. Looking forward to going back one day. This was my second visit. Everything fine with this unit. This place (Ilikai 1718) was awesome! Exactly as advertised. 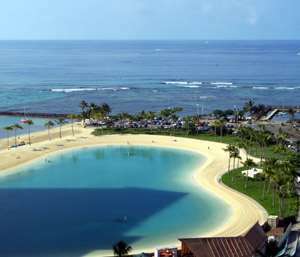 We had an excellent view of the lagoon outside of the Hilton and the Ocean. Couldn't have asked for anything more! 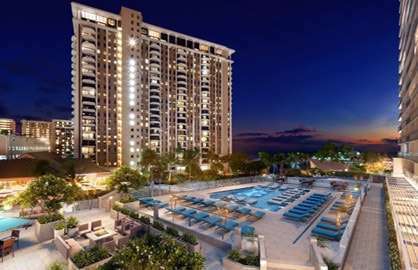 We just wanted to give a little feedback about condo 1718.It was beyond our expectations. 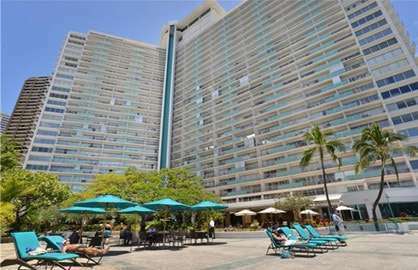 The condo & lanai were huge! The view was unlike anything we've ever seen - direct ocean and lagoon view, as well as views of the city. 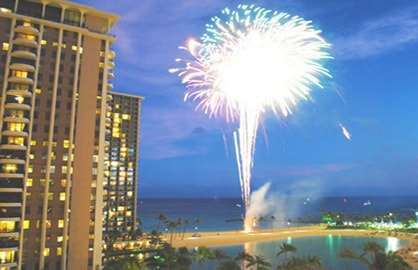 It was amazing.We got to watch the fireworks at Hilton & the luau during the week.The bed was huge and comfortable, and the condo just had all the comforts of home. 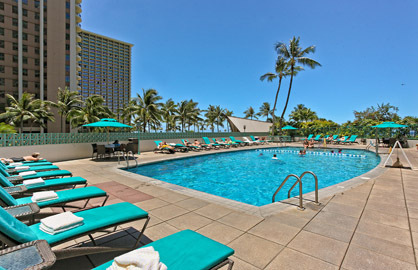 It was a wonderful stay and we will definitely be back on our next trip to Honolulu. Unit 1718 was everything we expected and more. It was in tip top condition with good quality kitchen appliances. The bed was comfy and the view spectacular, especially with the extra wide opening sliding doors onto the deck. 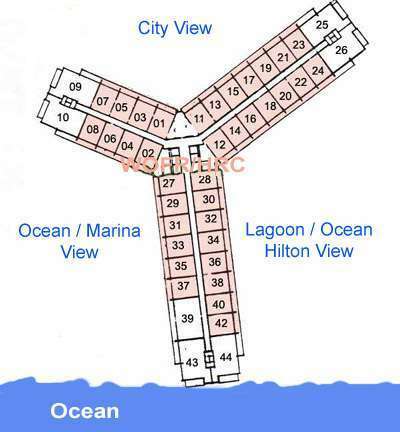 The location was very central and just steps to the beach. My son loved playing in the pool too. We would definitely stay there again. The unit looks right down into the Hilton's Luau theatre which they run most nights so you get free night time entertainment included in the price of the room too! 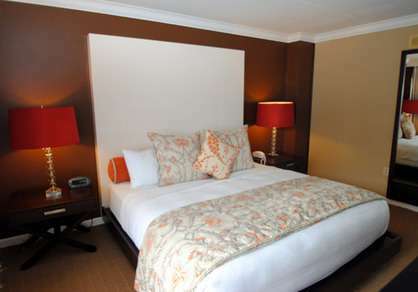 We recently booked a holiday from May 20th to June 4th in room 1718 and we were not disappointed! This was our first trip to Hawaii so I had high expectations and I can tell you now, it won't be our last. Having never rented a vacation rental before, I was a little apprehensive. However the whole process was seamless from our initial booking with Scott, to our payment process with the owner to the details that were supplied for our check in, to the unit itself. The suite was very clean and the decor was exactly as presented in the pictures (the kitchen layout was reversed, but appeared as presented). The pillows and duvet were sooo comfortable. Nothing will describe the feeling of pure excitement and relaxation (after a very long flight the night before followed by a comfortable sleep) that we felt when we opened the blinds the next morning to see the ocean, lagoon and double rainbows that welcomed us to our first day on Oahu! 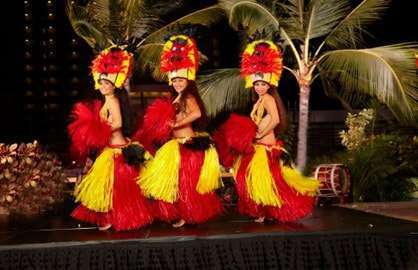 You can watch the luau at the Hilton next door from Monday-Thursday and fireworks on Friday, see plenty of surfers in the water, and view of the pool. 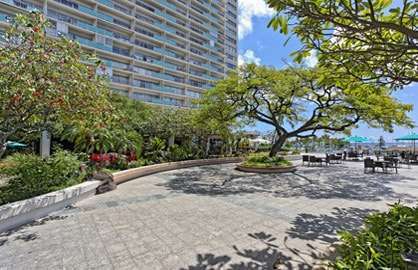 You are between a 5-10min walk to downtown Waikiki when you walk along the oceanfront with access to number of shops, restaurants and bars. We loved enjoying our coffee on the comfortable chairs on the lanai and it was nice to turn off the AC and open the double doors to let the fresh ocean air inside. Doing dishes isn't a chore when you have a beautiful view of the ocean and cruise ships and sail boats passing by and we loved the flexibility of preparing our breakfast and snacks for the beach but splurging at night. 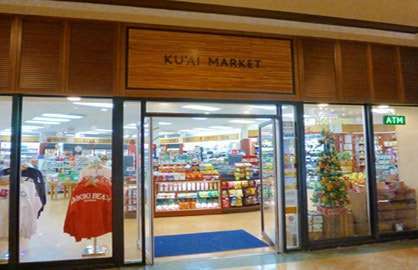 There are ABC stores which carry your basic essentials within minutes of the Ilikai (one on each corner) as well as car rentals (across the street) and walking distance (5min to Ala Moana Shopping Centre). There is a grocery store at the shopping centre (back side past Macy's) which is great for your larger grocery orders. There is also a Walmart and Sam's Club on the other side of the mall. 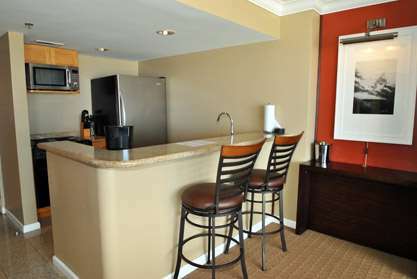 The unit was well equipped with all of the kitchen appliances you would need during your stay. The concierge service (Veronica in particular) was fabulous. Everyone in the building was super friendly and they have good weekly deals in the bar onsite. WOFR was very attentive and timely responding in his response to our questions before our departure and upon our arrival. And we loved that long distance and Internet was included to keep in touch with our family back home. To park with the concierge is expensive ($22 a day), but really you only need to rent a vehicle one or two days to tour the island and get your supplies. The rest of the time I suggest you use the trolly, tour bus excursions or walk. 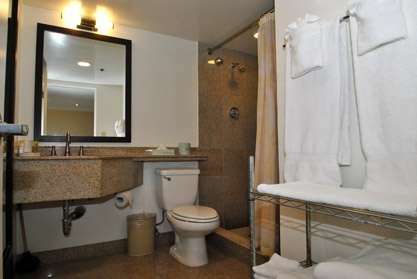 We would without a doubt stay here again or at another Waikiki Oceanfront Rental property. I have already shared the link with a number of family and friends. Trust us, if you book here you will not be disappointed! Thanks for a wonderful stay and we can't wait until our next visit. Mahalo! What an absolutely wonderful and relaxing time my daughter and I had at the condo.....Wow, where do I start? 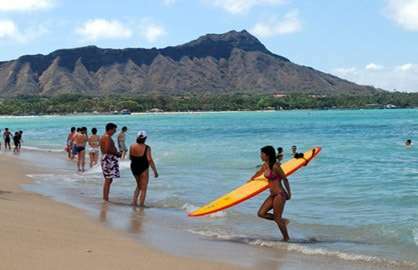 My 29 year old daughter and myself had a Mother/Daughter trip since she lives out of State from me, when we arrived she just didn't feel well and wanted to lay on the sofa and watch TV after arriving in Hawaii in the afternoon....I knew something was wrong. Monday morning I awoke to hear her crying in the bathroom and discovering my daughter had a high temperature, sore throat, and her ears were aching. I learned quickly that there are a couple of Docs on Call around Waikiki and I immediately called them at 5AM to which they told us we could wait until 6AM and a free Shuttle would pick us up, or we could take a taxi.....We took a taxi and were on our way to Walgreen's by 630AM....back to the condo by 730AM....Everyone we met from our Bellhop upon our arrival to our trips to see the Doctor during our stay was helpful, friendly, and always offered a helping hand and a smile. We could not have chosen a better place to be where everything was spotless, safe, secure, and having the beach and so much more outside your hotel.....who could ask for more? My daughter's first couple of days in Hawaii were rough ones, but once the antibiotics and shot kicked in she was up and we were on the beach, and enjoying our time together. I am so appreciative of your condo while my daughter and I stayed inside we could hear the ocean, see the surfers, and hear and see the Luau next door from not only our kitchen, but all areas of the condo inside and out....I made smoothie's in the blender, shopped at the ABC Store across the street, and even rented a car at Enterprise which is also across the street....We went to the Polynesian Cultural Center in our rented car, drove along the eastern coast and drove back through the middle of the island....I am so thankful we were not stuck in a hotel room during the days Krystle was sick, and I am thankful for you and how efficiently you run and conduct these beach front condos....I can't wait to come back and stay with you again. I just want to make sure we get to stay in our favorite condo again.....thank you so much! !